Is it me , or are the LOD draw distances increased ? If its true , then that would explain the performance loss ! I'm also getting a huge drop in fps since the patch. Reinstalled bf, tried reinstalling the current drivers and then tried installing older drivers and nothing changed. Lowered graphics settings to the lowest possible and even lowered resolution and saw no change. Hardware is all working fine and other games run smooth. Hopefully this will be addressed soon. I have no clue what could be going on with your guys performance loss I have never had FPS issues just some stutter here and there. I have a 2080ti and just got done playing 6 matches and gpu usage is between 85% and 98%. I am using dx12 no ffr and the newest Nvidia driver. Honestly my FPS increased a little with his patch and the new Nvidia driver. There’s got to be something in the settings or Nvidia control panel causing this. Under 3d setting texture filtering set that to high performance and under adjust image settings set it to use my preferences and slide the slider over to performance and click save. Many people report a stutter using DX12 for as long as I've had the game. This is why I'm running dx11, and frames much better during previous patch, no stuttering at all. ray-tracing @ 3440x1440 is not worth the performance hit, but that could change with DLSS. My texture filtering is already at performance. We're not setting up the game for the first time here. Game ran fine before patch. Game's not running as well post patch. I appreciate the willingness to help and all, however, the help we're looking for is a fix in the next update. There are enough posts in this thread, and multiple other threads to indicate the patch introduced a performance hit. And I can assure you, this isn't a matter of nvcontrol panel settings. I've been around long enough for that to be the first thing I check. Frankly i'd rather remove all the mesh as a method of "fair play" rather than decrease performance in a first person shooter.. not that I think it's a good idea to go prone in foliage rather than find some hard cover. But the thing is.. the patch notes state they only adjusted the mesh for LOW settings. Personally I think something else is off here. That was just on the Arras map. I Went from 190-211 inside the hangar and from 170-200 outside ,to this on Aerodrome. The fps are also all over the place, same on twisted steal, i lost about 45 fps on al maps and the frames are going in waves. I always had mesh to medium. 1080Ti 3200Mhz ram @3333MHz, ryzen 1600x @3925MHz game and os on ssd. Ha no problems before the patch. DUDE, i got it solved! Thank you so much @ShltPlayer for sharing all that informations and especially providing and updating those detailed stats. That helped me out allot and also keept my hope up that this must be an issue that can be solved on my end. So, total foot in mouth here. Seems it was some kind of corruption in the driver install for 417.71. A clean install of the driver might be advised if upgrading from 417.35, if you notice performance changes, use DDU in safemode and reinstall the new driver package after rebooting. 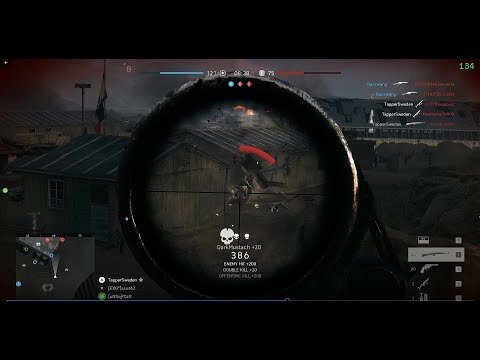 So, to DICE, and all the players saying performance has remained the same or better, my sincerest apologies for being mistaken. I'll forgive any pointing and laughing on this one. Frankly it'd been long enough since I'd last wiped drives and had a fresh install of windows that I went ahead and reset my copy of windows 10 and formatted all my drives, so I did that tonight, but I'm fairly certain the "express install" from nvidia driver package 417.35 to 417.71 created some registry conflicts that only seemed to effect BFV on my machine. And I admitted in an earlier thread I had to reset custom fan curves. I had other reasons for the windows reset, besides being a part of my maintenance routine. Either way my reasoning for posting in this thread has been solved. Hope this helps the others that took a frame hit. Nevermind - performance is good. Nvidia update may require clean install or DDU from guru3d to remove old package. But I've got every setting on ultra in dx11 and not dipping below 100fps @3440x1440. The patch on the same day as a nvidia driver release is where I went wrong. Before patch 120-144 fps, after patch about 80 fps. Reset in game video settings and then put them back to what I had before the patch. Now back to 120-144 fps. Looks like patch changes video settings in game. Yes, HBAO was off after patch. The rest was the same as I set it, but I imagine this is different for various setups. DX12 ran very poor on my end before the patch, and yesterday I gave it a whirl, and to my amazement it ran the same as DX11 ffr on, but now ffr off. The 417 drivers are not good for my setup for whatever reason. They install wrong by default and need the clean install box checked. Ed: using same or even lower video settings. My video settings are changing on thier own after updates, If you see a change check to see if your settings are the same. I also received a significant performance loss. I would say about 30 percent. I know my rig is old (i7-3770k and GTX980) But on 1080p BFV was running very smoothly. That's gone after the patch. This has to addressed! i'm having the same issues, and the only was i can fix it is to clean install the Nvidia drivers every single day. one clean install will late the whole day, but next day, back to running like ****. Exactly the same went from 120-144fps to about 80fps after the last patch. Changed video settings back and normal fps again.